Add something unique to your outfit or collection with this enamel Squirrel in Red Dress Strange Pin. 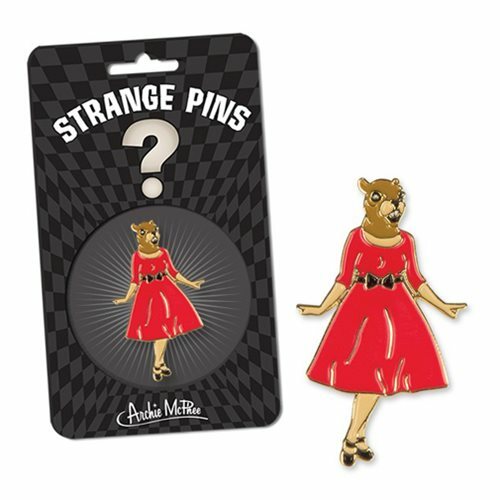 Featuring a truly strange Squirrel lady, this pin will leave your friends half impressed, half in laughter, and 100% convinced of your weirdness. This pin, made of die-cast metal and enamel, is 1 1/2-inches in height and comes on an illustrated card.